Today I have one of the new Beetlejuice SS12 polishes to show you. This shade is called Indian Ocean and it is a sheer blue duochrome that shifts from gold to pink. I only bought this colour from the new collection because I want to wait and see how strong the duochrome is on the others before I buy them. I bought four from the last Beetlejuice and was really disappointed with two of them so I wasn't about to make the same mistake again! I will wear this polish on its own at some point, but for these pictures I chose to layer it over For Audrey by China Glaze, which I just received yesterday! Breakfast at Tiffany's is my favourite film, so I knew I had to have this near-true Tiffany blue! Application was okay on this, two coats gave me adequate coverage, but the drying time was CRAZY long! 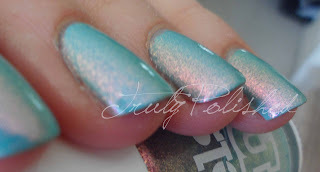 I then added two coats of Indian Ocean and was in love! 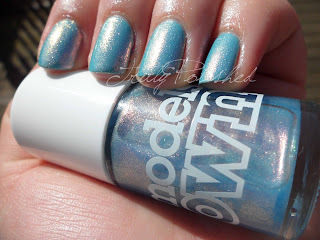 The blue base of it took away from the minty green-ness of For Audrey and gave it such a beautiful shimmer! I even got complimented on this today! 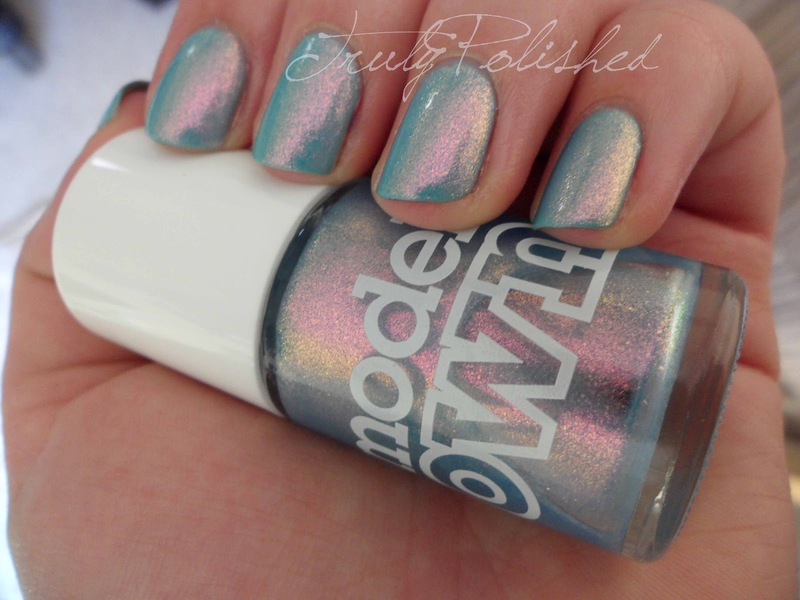 This polish is so pretty, I just wish it looked better with my skin tone. That doesn't matter to me though, I'll still be wearing this again! You can find it at Boots or here for £5. Glad you like it! I still haven't made my mind up on the other ones in this collection, but this one is beautiful! I'm not 100% sold on this colour on my skin. I've always thought warmer colours suited me better, but about 80% of my stash is blue and green polish!!! It's a shame about the drying time on For Audrey, but sometimes you just have to make sacrifices!